Pioneer of the Frampton Method, Roger Frampton is a fitness expert and fashion model. The canny Mr Frampton has managed to combine campaigns and catwalks with giving a Tedtalk, which has over 1.5million views. With a book set to launch in January of 2018, it’s Rogers aim to advise us on conscious movement techniques that we can do at home. It was realising the importance that consciousness has in movement, that led him to develop the Frampton Method. This ultimate work out routine focusses on body-weight training, consisting of controlled, isolated movements that help to train the entire body. It combines aspects of yoga and gymnastics, which deliver healthy, weight-loss techniques that will benefit your mind and body. Merely typing these words have made me feel a tad healthier, so thanks Roger for dropping by to talk turning left, grooming tips and action heroes. Did you ever imagine you would be a male model? Hey Grooming Guide. Thanks for having me. My modelling career began just over 13 years ago in a bar in south west London. Today I’m shooting regular sport and fashion campaigns for Orlebar Brown, River Island & Jack Wills. What’s been your most challenging catwalk? One time, I had to turn left. I really struggled with that. So what got you interested in fitness? I believe it was through watching movies. The hero always kept themselves in good shape and that’s what I aspired to. Maybe I just want to be an action hero. Who are your ‘fitspirations’ ? Olympic gymnasts. Guys and girls. The way they move. It’s great to see what the human body can achieve with time and dedication. Do you work out for size or strength? I train to learn specific movements. Strength or size would just be a bi-product of whatever movements I’m working on. How did you prepare for your Tedtalk? It took me around a year to prepare for my TED talk. I rehearsed daily and spent lots of time researching facts and figures. So …..the Frampton Method is? The Frampton Method re-teaches people childlike movements that they did when they were younger. When you follow this process you recognise that your true aspiration is your 5 year old self. You’ve modelled for major fashion brands, who are your key grooming players? I really like the brand called Bulldog & Jason. What advice do you have for any fledgling models or fitness coaches? I like fledgling. Such a cool word. Fitness coaches: Stop learning. Start feeling. Aspiring models: Waiting in line gives you the opportunity to read books. As a model, you spend hours in make up. Does this affect your skin and which products do you use to combat this? Get it off asap and get some fresh water on there. Do you have a daily grooming routine? If so, tell us a little about it. Wake up, shower, under arm, coffee, teeth, door! Wet or electric shave? Are you loyal to any one particular shaving foam, if so why..if not which are your favourites? I tend to use the same shaving foam by ‘The Real Shaving Company’. What do you generally eat to stay in such great shape? Mostly I live on a diet of sandwiches, halloumi wraps, Jaffa cakes and caramel frappuccino’s. As a model, you’ve walked on catwalks in London, Paris and New York. What must have grooming products go in your travel bag? ‘Organic Homme’ under arm. 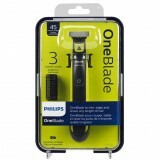 Jason Shower Gel and Shampoo and Philips One Blade Trimmer. 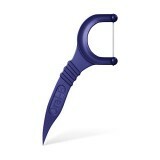 Cotton buds and Floss Sticks too. What are your go to hair products? 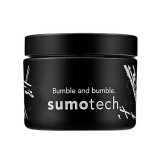 Bumble & Bumble Sumotech. I love the smell of it. Do you tan easily? Do you have a recommended sun cream? 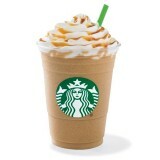 I prefer to go in the sun for shorter periods of time before I need cream. The more you go in the sun the more resilience you can build up. Build it up slowly though. Can you explain more about what conscious movements are? Are you aware for the last hour that you’ve been blinking? Now I’ve mentioned blinking does it seem strange that you don’t even notice that you blink? Well that’s consciousness. Instead of planning all the time in your head you become more aware of the feelings in the body. What does feeling good and looking great mean to you? Feeling good would be a particular sensation in your body that you name ‘good’. Looking great. Hmmm. I guess that would be subjective to the person saying the words. It’s not really a place, it’s more a state of mind. I’d say when I feel I’m progressing.